Texan Girl Talks: OH Thursday. Y'all. I'm getting so excited. I'm going to a National student nurses convention. NEXT WEEK! AND it's at the Opryland Resort and Convention center in Nashville, TN! I have never been to Tennessee! My nursing friends and I are making the trek from Charleston, SC! It's like a 9 hour drive... I do believe my nursing friends and I will be getting much closer! We are going to be learning TONS of cool stuff at this convention, like forensic nursing! Who knew that's a brand new field?! Watch out CSI! Also, i'll be learning all kinds of stuff to pass my boards. Yes, the dreaded NCLEX. LOOK at that hotel! It's gorgeous! I can't believe we get stay at such a cool place. 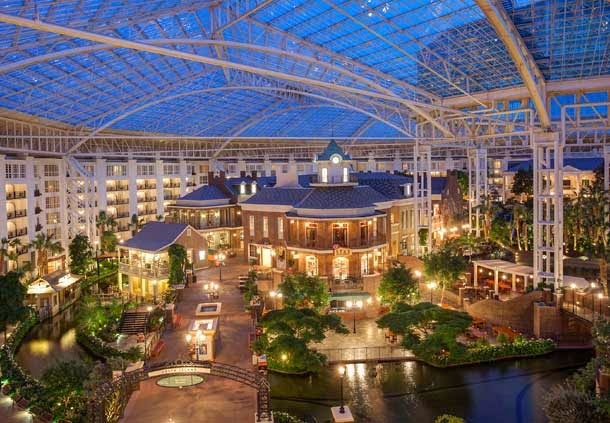 Has anyone ever been to the Gaylord Opryland? Any student nurses out there going to the National Student Nurses Association convention?